Hayden Cox is on a trajectory that has taken him from setting up his own company while still in high school to collaborating with Alexander Wang for an installation in the fashion designer’s New York store. 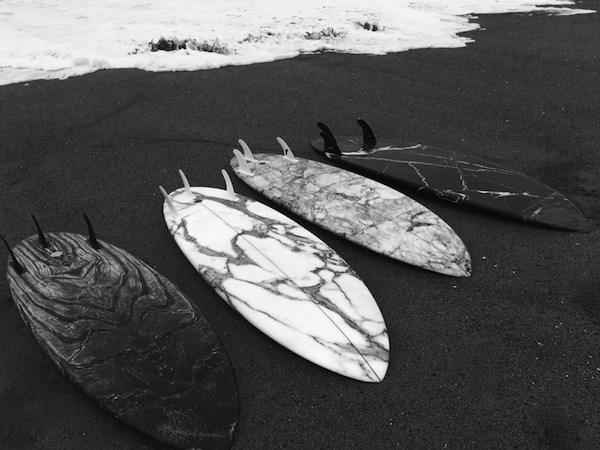 The idea was to create a surfboard that looked like a piece of art. 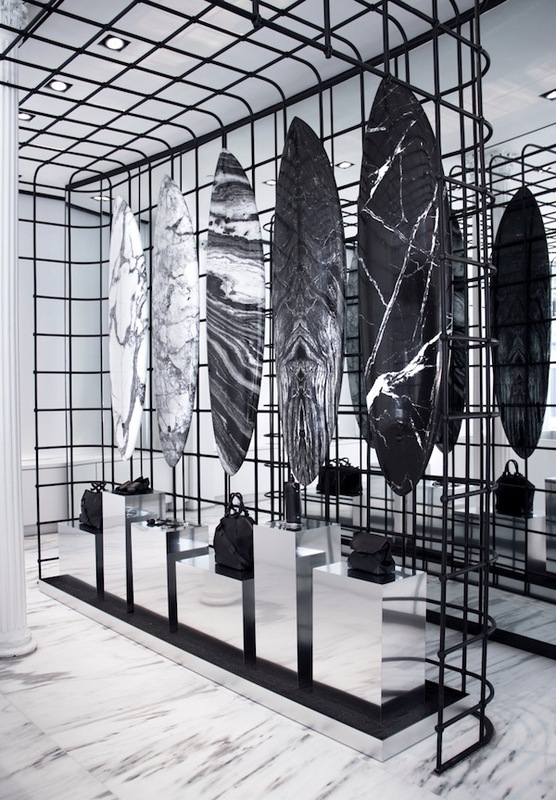 The result is five surfboards, all hand-crafted by Hayden, covered in a marble print on silk. While this is the Sydneysider’s first foray into high-end fashion, it’s not the first time he’s pushed himself into new territory. Since starting his business, Haydenshapes, at the age of 16, his surfboards have been sold into more than 70 countries, and he has opened manufacturing facilities in Los Angeles in the USA, as well as running his main operations out of Mona Vale on Sydney's Northern Beaches. Which five words best describe you? Determined, analytical, creative, loyal and grounded. How did you get your career start and what path have you taken since? When I was 15 I traded in my school holidays to do work experience at a local surfboard factory - taking out the trash, tidying up, etc. On the last day the owner realised that I was there on my own accord and not through a school program, so through perhaps a little bit of pity, he showed me the very basics of shaping a board on the last afternoon I was there. He shaped one side, I shaped the other. My side was terrible but I kept at it and eventually got better and better. I started Haydenshapes when I was still in high school and taught myself to code my first website when I was around 16. I have actually only ever worked for myself and I've never even had a job interview. I had a vision and I was determined to make my business work. I’m 32 now and still feel that it’s only really getting started in a way. What’s the best lesson you’ve learnt along the way? Hmm, where to start? I have made tonnes of mistakes and learned many lessons over the past 15 years, but I'll never make the same mistake twice. One key lesson I'd say, is learning the importance of staying ahead of the curve and being two steps ahead of the people around you - even those you trust. A few years back my old Japanese distributor went ahead and registered my brand trademark. It took me four years and countless hours and dollars to fight to get it back. The whole thing was a nightmare. I also learned how crucial it is to surround yourself with like-minded people who inspire and motivate you. It affects you in ways nothing else can. What’s your proudest career achievement? This year my design, the Hypto Krypto, won 'Surfboard of the Year' at the Australian Surf Industry Awards. 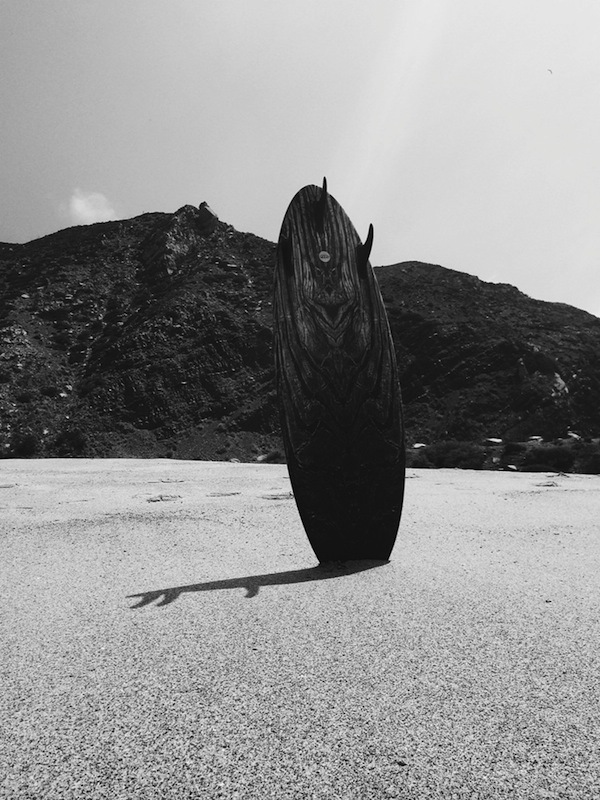 Haydenshapes was up against the biggest surfboard brands in the world and being recognised in the industry at that level was definitely a defining moment. What’s been your best decision? One of them would be patenting the design FutureFlex, which I created back in 2006 and is a parabolic carbon rail surfboard technology. Traditional surfboards have a wooden stringer through the centre that controls a lot of the flex of the board and gives it a torsional twist movement. Futureflex has carbon fibre rails which creates strength around the frame of the board, which means it has more flex and buoyancy through the centre (like a tennis racquet). It is also more lightweight, which gives the board more speed in the water. Not only do I use the tech for Haydenshapes, but I also on-sell it to other major board brands in the market. Who inspires you? I get a lot of influence from a variety of designers, brands and individuals both within and beyond the world of surf. Artists, engineers, fashion designers, architects, pro surfers, etc. 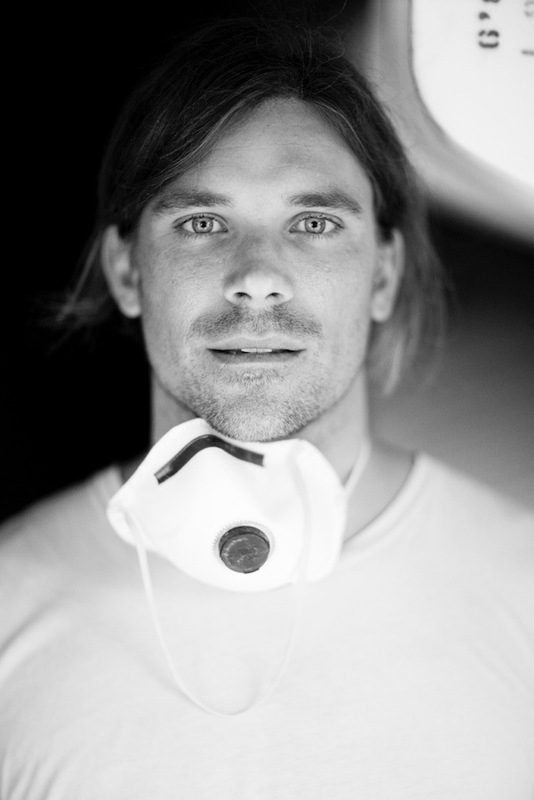 My key design muse would probably be pro surfer and Haydenshapes team rider, Craig Anderson. He has a unique style that has really made him a surfing icon. What are you passionate about? A lot of things, but at the end of the day, having a good life balance is really the most important thing. I’m passionate about design, surfing, running my business, etc, but I get married in January to my fiance Danielle, which is something that I am most excited about. Which person, living or dead, would you most like to meet? Andy Warhol. He is a bit of a mad scientist. What dream do you still want to fulfil? I set pretty high goals for myself, especially in the business sense. I'd really like to continue to grow the brand in a way that others in the surfboard world haven't been able to. Having a family of my own is also something I really look forward to and I am yet to fulfil. What are you reading? I don't read a lot to be honest, but I just finished the book TC by my good friend Tom Carroll and his brother Nick. Very honest and eye opening.